Black men are more likely to be diagnosed with prostate cancer compared with White men. Despite advances in prevention and treatment strategies, disparities in prostate cancer among Black men persist. While research on the causes of higher incidence and mortality is ongoing, there is limited evidence in the existing literature that clearly speaks to the potential psychological or social factors that may contribute to disparities in prostate cancer incidence. 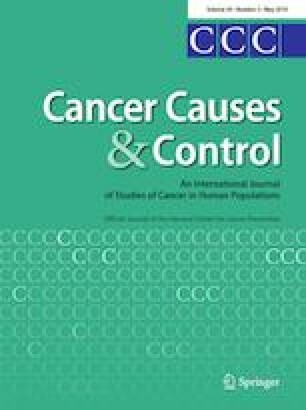 Given the lack of attention to this issue, we review scientific evidence of the ways in which social factors, including socioeconomic status and racial segregation, as well as psychological factors, like depression and anxiety, are related to subsequent prostate cancer risk, which could occur through behavioral and biological processes. Our objective is to illuminate psychosocial factors and their context, using a racial disparity lens, which suggests opportunities for future research on the determinants of prostate cancer. Ultimately, we aim to contribute to a robust research agenda for the development of new prostate cancer prevention measures to reduce racial disparities. This project was supported by the National Institute of Health 3R25CA057711. Its contents are solely the responsibility of the authors and do not necessarily represent the official views of the NIH. CTF received a postdoctoral fellowship from the Fonds de Recherche du Québec—Santé. The development of the manuscript was partially supported by Cancer Disparities Research Network/Geographic Management Program (GMaP) Region 4 funded by 3 P30 CA006927-52S2 and CTSI Mentored Career Development Award (KL2 TR002545).